How Do You Reduce Wattage Use on an Electric Stove? The wattage used on an electric stove can be reduced by using a lower heat setting, as higher settings generally require more wattage. Wattage usage is also reduced by using fewer surface elements to cook and using the surface elements less often. Preheating water in an electric kettle and then adding it to a pot on the stove top saves energy over preheating the water on the stove top. Electric stoves typically account for a small percentage of a household's total energy usage. Electric stoves typically offer four surface elements, with small, medium and large sizes. Small elements can use up to about 1,200 watts, while medium elements use up to about 1,500 to 1,800 watts and large elements can use over 2,500 watts. Induction stoves use magnetic cookware, which uses approximately 30 percent less energy than standard electric stoves. However, these stoves are typically more expensive. 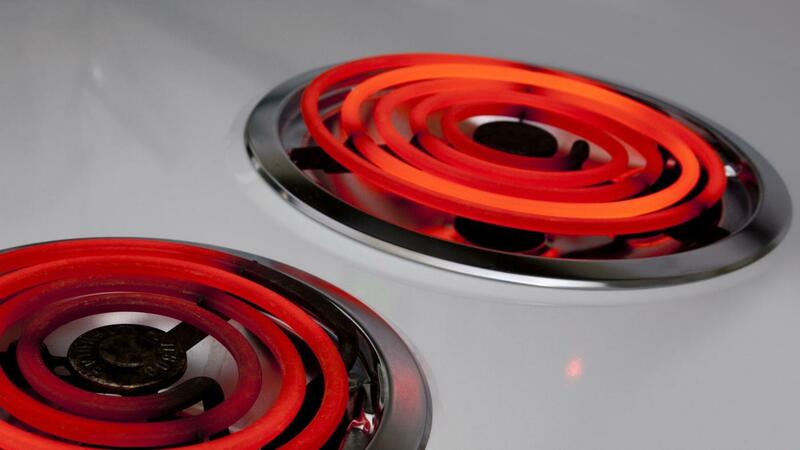 Electric stoves can have coil top or smooth top surface elements. Coil top elements tend to be the least expensive. Smooth-top elements have a ceramic surface, which makes them easier to clean. Induction stoves also have a ceramic surface over magnetic heating elements. These stoves generate heat directly to the cookware, making them heat faster and with more precision. Where Can You Purchase a Countertop Electric Stove? How Do You Troubleshoot a Kenmore Gas Range? Where Can You Buy a Countertop Electric Stove? How Does a Coal Stove Work?